Ask Carolyn: My Child's Mother is Unfit. What Can I Do? Drunk mother with alcoholic drink scolding her little son. Female alcoholism. Focus on bottle. You must have a material change of circumstances to modify a child custody order (North Carolina General Statutes Section 50-13.7(a).). Typically, the change of circumstances is a comparison between (1) the facts that existed when the 2013 order was entered and (2) the facts that exist now. 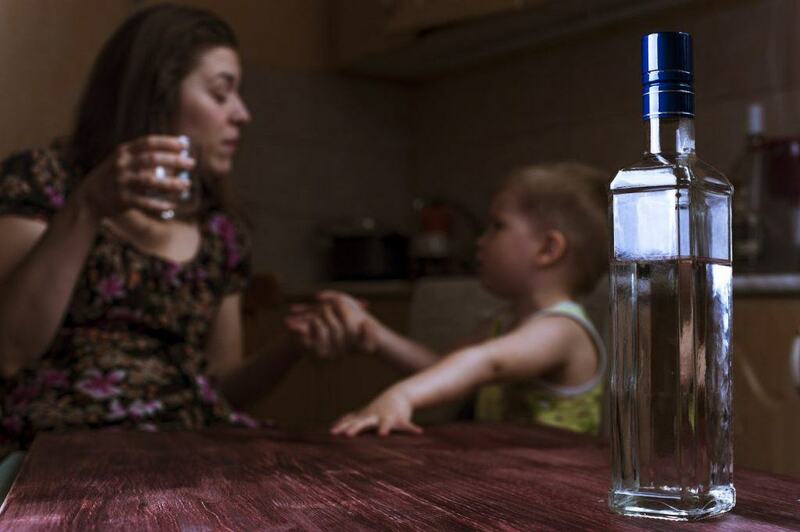 For example, if the mother was a drug addict in sobriety in 2013 and now the mother is actively using illicit drugs, then that probably would be a material change of circumstances that entitles you to a custody modification. You will need to link the drug use to bad parenting. Typically, the judge will not allow evidence before 2013 “to prevent relitigation of conduct and circumstances that antedate the prior custody order.” Newsome v. Newsome. Under limited circumstances, the trial court judge can permit evidence that pre-dates the current order, which in your case is an order signed in 2013. The North Carolina Court of Appeals recently addressed the issue of when the court should hear evidence that predates the current court order in determining whether there was a change in circumstances warranting modification of a child custody order. The new North Carolina case is Robinson v. Cain, and this case is close to your situation. Robinson is the father and Cain is the mother. Robinson and Cain entered into a custody consent order, much like your situation. The court did not hear evidence of Cain’s drug abuse at the entry of the last custody order. The Court of Appeals held that Robinson should be permitted to present evidence pre-dating the existing custody order because the court had not heard the evidence. You should be able to present the evidence concerning the mother’s unfitness from 2011 to 2013. Readers, treat this as cautionary. If the other parent has significant issues such as drug addiction, please don’t sign consent orders and then expect to bring up the drug addictions later. Put all of your child custody facts out there from the beginning in the best interests of your child. There is a narrow exception under Robinson and Newsome, but don’t plan your child’s life around narrow exceptions.